Andy Chasse is a certified personal trainer who began writing professionally in 2009. He works full time as a freelance writer, specializing in areas of fitness and nutrition. His writing has appeared online at BodyBuilding.com, Muscle and Strength and Elite FTS. Chasse is pursuing a Bachelor of Science in kinesiology from Sam Houston State University. When planning a healthy diet, it's important to pay attention to sugar, a major staple that provides carbohydrate nutrients. Some sugar, especially the type called refined, cause a rapid rise in blood sugar that could raise your risk of diabetes and other chronic problems. A large number of the foods we eat contain refined sugar, which could pose as large a health problem as dietary fats and cholesterol. To figure out how many calories from sugar you eat during an average day, use a diet tracking app like MyPlate. Sugar manufacturing involves the process called refining, during which impurities and colored components are removed. 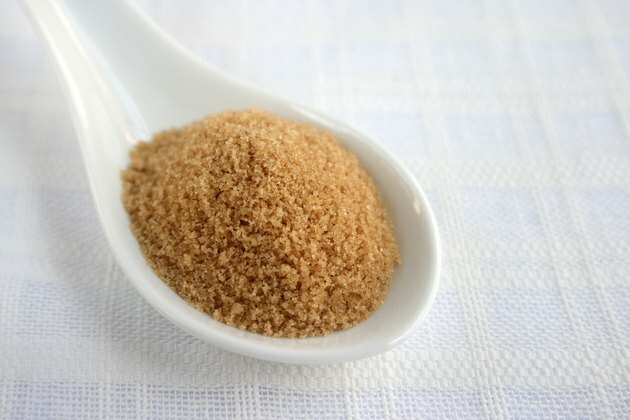 The starting product, called raw sugar, is softened and dissolved, then the components are separated to yield the white, pure sugar recognized as table sugar, or pure sucrose. Although refined sugars are believed by many to be the basic table sugar that we add to coffee or tea, there are actually a number of different types. Granulated sugar is the most common type of refined sugars It is consumed by many on a regular basis and is found in most homes. Granulated sugar is often used to sweeten beverages, such as coffee and tea. This type of refined sugar is also used in baking and cooking, and is commonly sold in bags at the local grocery store. 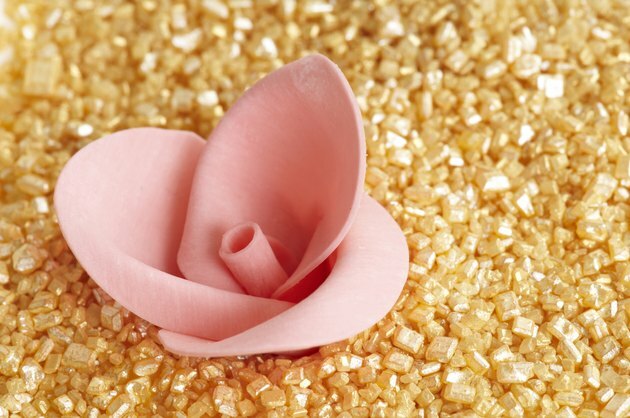 Sanding sugar is another type of refined sugar that's slightly more coarse than granulated sugar, making it ideal for cookie or cake decoration. It also has the ability to add texture to a dessert, because it dissolves slowly and retains a grainy feel in many dishes. Sanding sugar is also used with certain cold desserts to sweeten without sacrificing texture. Super-refined sugar is a type often used in commercial food products. Some of these products include sodas and other sugary beverages. This kind of sugar is also often used in pie meringues, because it dissolves quickly and give a smooth texture to food. 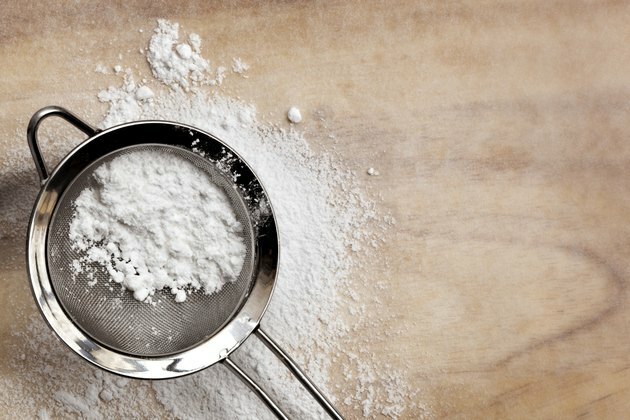 Powdered sugar, or confectioner's sugar, is the last type of refined sugar. It has a much smoother texture than the other types of refined sugars and is commonly used in icings and similar dessert toppings. It mixes easily and creates a smooth product. It's also the type you might see coating a donut, because it's fine texture helps it stick to food surfaces. Refined sugars are classified by some as potential poisons to the body. They provide only empty calories lacking in other nutrients and minerals. In addition, they can drain the body of nutrients because of their demanding digestion requirements. According to MyPlate.gov, you should limit your intake of refined sugar, opting for foods that provide carbohydrate in a more complex form. These include whole-grain foods, such as whole-wheat bread and pastries. Moderation is key when consuming refined sugar, which shouldn't be a staple of your diet. 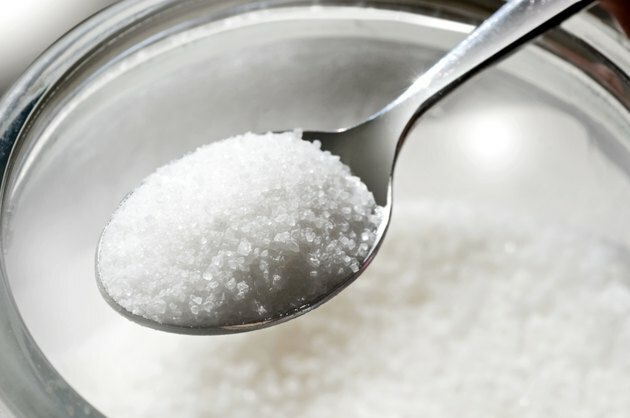 Become Healthy Now: What is refined sugar? How Does Sugar Give You Energy? 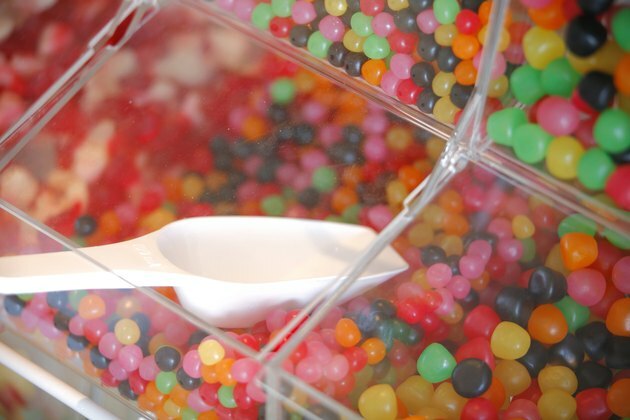 How Does the Human Body Digest Sugar? What Are the Functions of Sugar in Meringue?